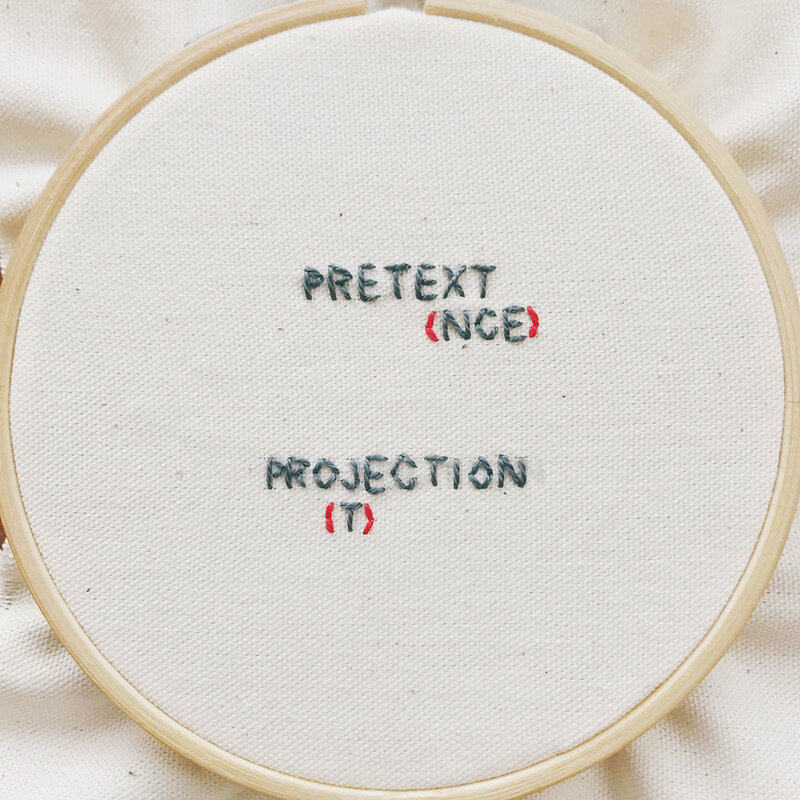 This is an ongoing textual embroidery series exploring the spaces and overlaps between seemingly opposing perspectives. The compositions play with double-sidedness – words or statements are juxtaposed on the front and the back, or right-side up and upside down, or even by using parentheses and annotations in different threads to imply additional meanings. Thus, paradoxical ideas uncomfortably coexist within the same frame, even if not legible at the same time, trapped in a feedback loop of text and subtext.